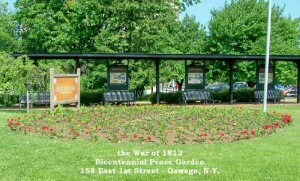 OSWEGO, NY – Oswego’s War of 1812 Bicentennial Peace Garden was successfully planted recently. It is located at 160 E. First St.
Randy Zeigler, chairman of Project Bloom; Ed Matott, former Sixth Ward Councilor; Lorraine Smith, wife of DPW Commissioner Mike Smith; Barb Sugar, City Clerk; and Leotta. 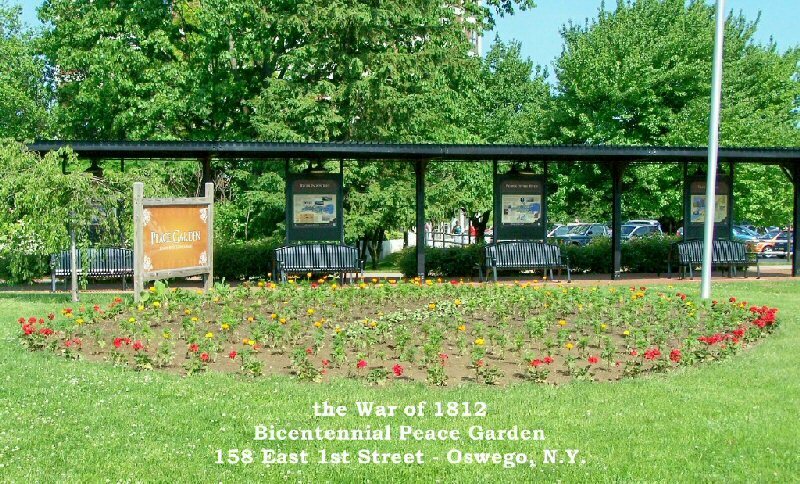 The official dedication of the city of Oswego 1812 Bicentennial Peace Garden will be conducted at 4 p.m. on June 16 at the garden site. The garden is part of the War of 1812 Bicentennial Peace Garden Trail, according to Leotta. There are also gardens on the Canadian (Loyalists) side at Grimsby, Burlington, and Amherstburg, Leotta added.